I'm proud to announce the release of a brand new content type and critical bug fixes and user experience improvements. H5P Essay is the latest content type created by the prolific otacke. 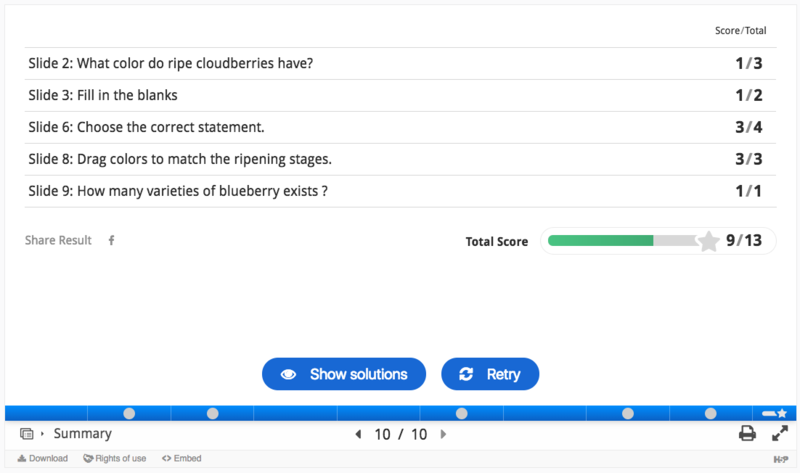 It allows learners to submit long-form answers about a particular topic. A score is then calculated by checking the existence of keywords specified by the author. It is also possible to save the entire essay for later review if you have a Learning Record Store connected to your H5P plugin. Try the demo above! Course Presentation's summary slide has been redesigned to be much more intuitive. Previously, it was difficult to see how the scores and overall percentage were calculated. Now learners are presented with a simpler overview of each of the tasks and the familiar H5P score bar. I have recently been introduced to H5P. I'm exciting! I am also looking forward to learning more. Welcome to the H5P community!